We thank Miss Lee Mei Ling for her letter (Are there sales guidelines for electricity retailers?, March 26). To protect consumers, the Energy Market Authority (EMA) has implemented a Code of Conduct for Retail Electricity Licensees that electricity retailers must adhere to when carrying out retailing activities. Retailers are required to present and obtain consumers’ acknowledgement of the consumer advisory and selected price plan’s fact sheet. The consumer advisory highlights important information that consumers should be aware of before signing a contract. The fact sheet highlights the key contractual terms and conditions of the consumer’s selected price plan, such as contract duration and early termination charges. Retailers are expected to answer any questions which consumers have regarding the consumer advisory, fact sheet or the price plan they are interested in. Retailers are also required to verify the identity of the utilities account holder when signing up a customer. EMA carries out customer satisfaction surveys and mystery shopper audits to ensure that retailers comply with the code. Action will be taken against retailers who fail to comply with the code or have accumulated a significant number of consumers’ complaints. Errant retailers could be suspended from signing up new customers and be subject to financial penalties. EMA is working with Miss Lee and the retailer involved to resolve the matter. Consumers may wish to visit www.ema.gov.sg to find out more about the code. 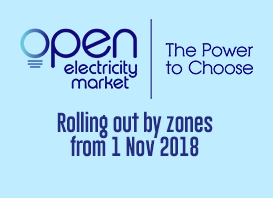 They may also visit www.openelectricitymarket.sg or call our hotline on 1800-233-8000 to learn about the consumer safeguards that have been put in place. At a roadshow organised by an electricity retailer, a sales representative told us the retailer would merely be in charge of billing, while everything else would be handled by SP Group. It was reassuring to know that we would still be getting our electricity from SP Group under this arrangement.